Northgate Battle of the Books! April 2, 2019 / Ellen / Comments Off on Northgate Battle of the Books! ﻿Do you have what it takes to represent your town in the Inaugural Northgate Battle of the Books hosted by Bayne Library, Friday June 21st at 6:00 p.m.? One team from Bellevue and one team from Avalon will answer trivia questions about four books to see who will rise from the ashes and who will go down in flames! Interested? If you are age 11-14 come to a team meeting to learn more! You don’t have to attend Northgate! Got questions? Email us at baynelibrary@einetwork.net! The search for Bigfoot gets juicy in this funny and touching story. Lemonade Liberty Witt’s mama always told her: When life gives you lemons, make lemonade. But Lem can’t possibly make lemonade out of her new life in Willow Creek, California–the Bigfoot Capital of the World–where she’s forced to live with a grandfather she’s never met after her mother passes away. 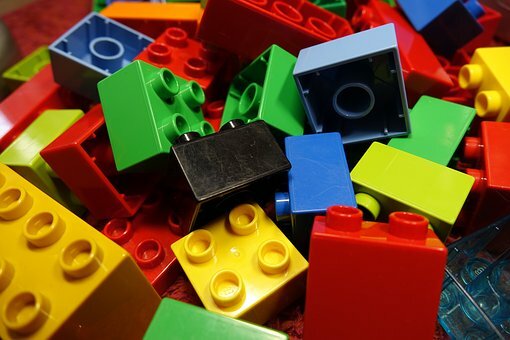 Kids ages 6 – 12 are invited to join us on Thursdays from 3:15 to 4:00 p.m. for Lego fun! Our last Lego Club for this school year will be Thursday, April 25th.